Take advantage of promotions, discounts and offers, made available to Ticats fans courtesy of our corporate partners! Click the images below to instantly redeem the corresponding offer. Buffalo Wild Wings - Your Official Ticats Game Day Hangout! 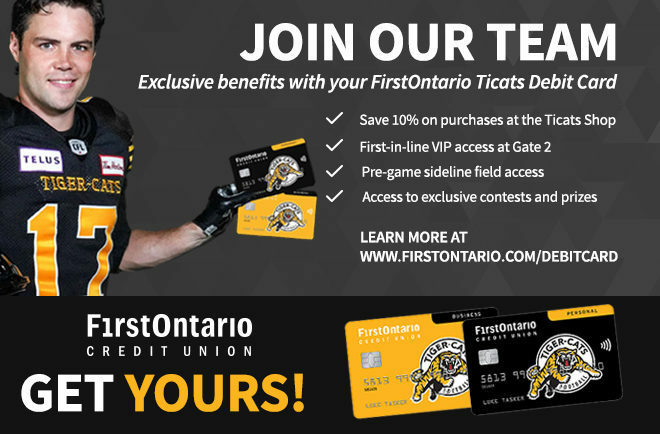 FirstOntario’s Tiger-Cats Debit Card comes with BENEFITS! Access to exclusive contests and prizes. Get your card before December 31, 2018 for a chance to WIN Season Tickets, an autographed Luke Tasker jersey and dinner with Luke on Club Level. Call us at 1-800-616-8878 to book an appointment to get your card today or visit www.FirstOntario.com/DebitCard to learn more. Stop by the replica lockers located on the West Concourse of the stadium during Tiger-Cats home games for a chance to win upgraded seats and a prize pack for the next Ticats home game! Snap a photo of yourself at the lockers and use the hashtag #BrickBestSeats for your chance to win. Visit https://www.thebrick.com/brickbestseats/ticats for more details! When your Tiger-Cats defence get four sacks at a home game, you get a free haircut! Simply show your game ticket at any of over 50 Ontario Great Clips locations. Valid for 7 days after a 4-sack home game. Great Clips is the official hair salon of the Tiger-Cats! The Hamilton Spectator is the official news publication of the Hamilton Tiger Cats. Get the local coverage you need with the full coverage you expect with our 3-day weekend subscription, including 6-day digital access – all for only $14.90/month*. Call 1-800-263-8386 or email circ@thespec.com, with the subject “Promo Code: CATS2”. *5% GST included. Applies to pre-authorized easy payment plan (EPP). Provision of credit card or banking information required. Minimum 3-month commitment required. Offer only available to new subscribers who have not been subscribers in the past 60 days. 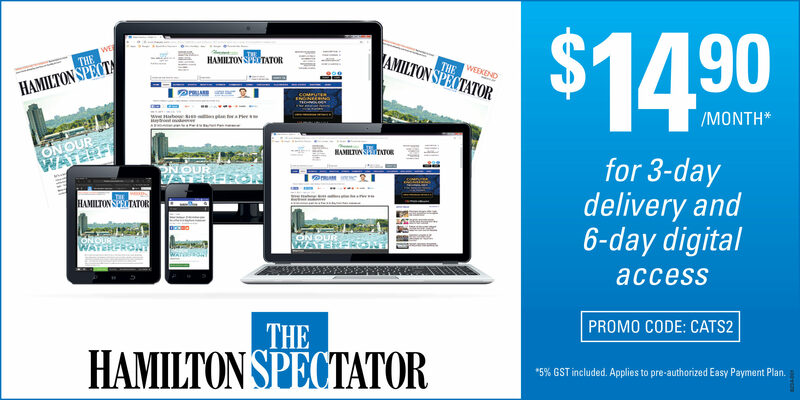 Offer valid only where delivery of The Hamilton Spectator is available. Not in conjunction with any other offer. The Hamilton Spectator SpecTV Book, The New York Times News Section and Book Review are not included, but are available at an additional cost. Offer may be higher in rural areas due to higher delivery rates. 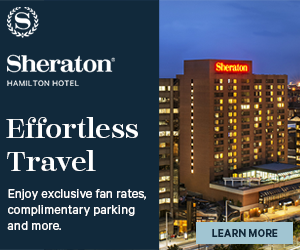 Sheraton Hamilton is the official hotel of the Hamilton Tiger-Cats and the perfect end zone for your game day experience! Show your tickets to a Tiger-Cats home game and save with exclusive rates, free parking, and a complimentary gift! Book online or call 866-716-8101 and use promo code TICAT. 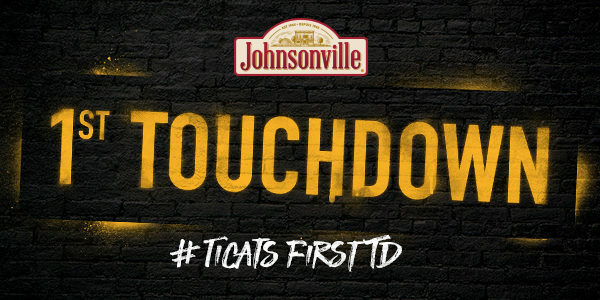 At the beginning of every home game, tweet us using #TicatsFirstTD and predict who will score the first Ticats touchdown for a chance to win a Johnsonville prize pack! SkipTheDishes is proud to be The Official Food Delivery App of the Hamilton Tiger-Cats! We’re proud to partner with SkipTheDishes, the Official Food Delivery App of the Ticats. Do game day right! Use voucher code TICATS15 and get 15% off your SkipTheDishes delivery order over $30 for all away games. Think you know Tiger-Cats football inside and out? 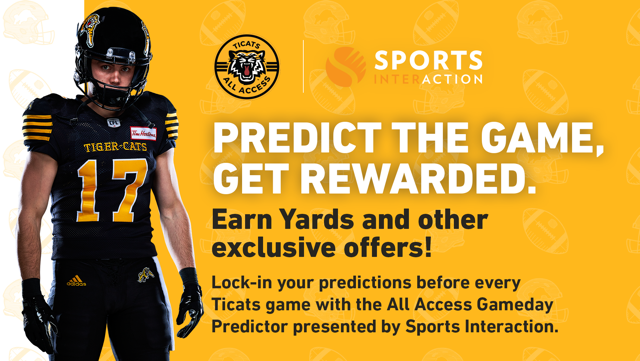 In the hours leading up to every Tiger-Cats game, Ticats All Access members can log in and lock in their picks as part of our Game Day Predictor contest, presented by Sports Interaction. Prove you’re the most knowledgeable fan by answering a series of props questions prior to kickoff. 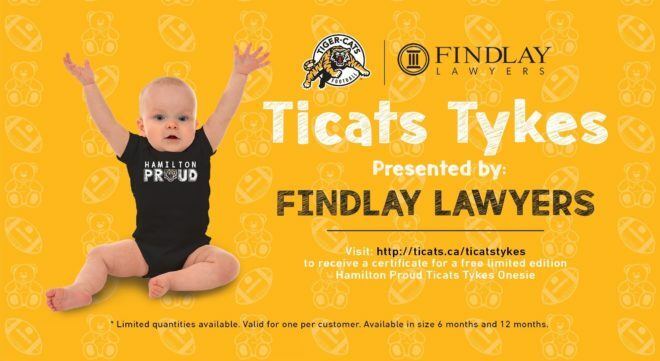 Each week, the Predictor player with the most correct answers wins two Club Level tickets to an upcoming Tiger-Cats home game. Tweeting a pic from the game? Use the hashtag #AllConnected and tag @TELUS for a chance to win a Google Home Mini and Autographed Tiger-Cats Jersey, courtesy of TELUS.